During cellular respiration in both mitochondria and aerobic prokaryotes, the Electron Transport Chain pumps H+ ions out of the matrix or cytoplasm to create a H+ concentration gradient. This forces the H+ ions back into the matrix or cytoplasm forcing ATP synthase into action. I was wondering, however, why the H+ ions are pumped out of the matrix or cytoplasm, instead of into it. For aerobic prokaryotes, and the early mitochondria (which were prokaryotes living on their own) pumping the H+ ions out of the matrix or cytoplasm means pumping them into the outside world, a very uncontrolled environment. There is nothing to prevent the H+ ions from diffusing out, making the pumping completely inefficient, if not pointless. Wouldn't it make more sense to pump the H+ ions into the matrix or cytoplasm, where the H+ ions cannot diffuse, resulting in much higher efficiency? Mitochondria pumps out the H+ perhaps just because there is no disadvantage of it. Once they've evolved such a machinery with complex network; they weren't threatened to evolve any opposite-system. Any opposite system too; would not plausibly disadvantageous; and really happens in case of chloroplast; another sort of cell-organelle. 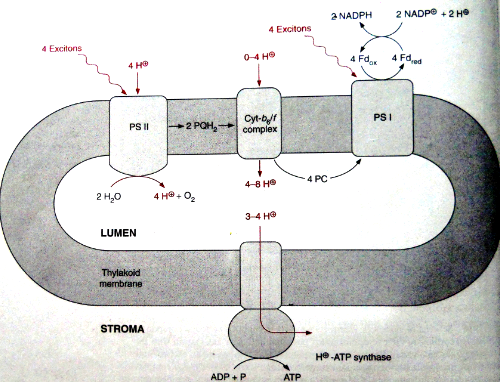 1: image from Plant Biochemistry, by Hans Walter Heldt, 3rd Edition. 2: picture including all chloroplast membranes. Reference: Plant Biochemistry by Hans Walter Heldt, 3rd Edition, Academic Press. You'll get the same gradient if you pump protons out or in. You're not specifically decreasing the outside pH when you pump protons, you're mainly increasing the inside pH. As long as there is a gradient that can be used to achieve other things for the cell, it doesn't fundamentally matter if protons want to flow in or out the cell, as long as they want to flow across the membrane. I don't know if this is a proper answer... and this answer is really late... but if I remember correctly, the mitochondria pump H+ out to better compartmentalize the activities of the TCA and other oxygen-dependent metabolic processes within the mitochondria. This compartmentalization helps further minimize the possibility of a process or reaction to take place before the cell is ready. It also helps keep proteins that have closely related functions (as in they function in the same or complementary pathway) spatially close to each other. Interestingly, prokaryotes have been observed to localize cellular activities as well. It is hypothesized that this occurs for the same or a similar reason as described above for eukaryotic cells, albeit it is likely less effective. This is accomplished through intracellular scaffolding of some kind of cytoskeleton. My guess is that prokaryotic cells can utilize this cytoskeleton to localize their proteins, but can't use it to localize H+ due to a lack of "binding" region (speculative). Also, majority of prokaryotic organisms will pump the H+ into their periplasm (inter membranous space, not the "chaotic" external environment) as Rick Beeloo mentioned. This periplasm is a smaller environment than the cytoplasm and is more densely filled with proteins (and possibly others molecules) as well. I think the periplasm is more viscous as well - whether a result of solvent composition, high protein or other molecule concentration, or something else entirely, I'm not sure (relatively unfounded statement). Regardless, all these factors actually make it more difficult H+ molecules to diffuse away in the periplasm than in the cytoplasm. Another argument against why the H+ must be pumped to the side opposite of the proteins is that ATP inhibits the TCA and other oxygen dependent metabolic processes. The ATP synthase creates ATP on the side that the H+ ion passively flows to. This causes feedback inhibition is much more temporally sensitive as ATP synthase synthesizes ATP on the same side as the proteins involved in ATP synthesis. I think that ATP synthase cannot produce ATP on the same side as the H+ ions because their is no energy to make the ATP with until the H+ ion has flowed down the concentration gradient across the membrane; by this I mean the energy used to create ATP can only be harnessed on the low-energy side of membrane (I'm guessing on this last sentence...). As a result of these reasons and maybe more, I'm led to believe these are some reasons that it is advantageous to pump H+ ions out of the cell/mitochondria interior than in. Although 2 years late and by no means a definitive answer, I hope this adds some new perspectives or ideas to the discussion on why this process occurs as it does. I cannot completely vouch for how accurately my answer does answer your question. I will however try to explain the best that I can. Firstly, in the electron transport chain the reactions that happen to metabolize the substrate are Redox reactions. As the complexes are oxidized by the release of electrons, protons are also released for counterbalancing. Statistically, the most effective route of ejection of the protons is through the H+ uniporters. 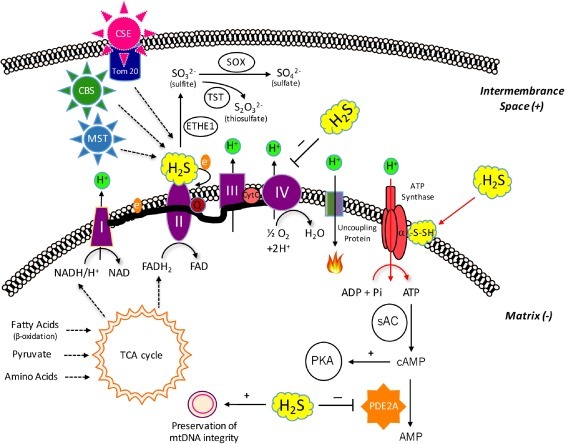 There is a need for the protons to catalyze the reactions for synthesis of Hydrogen Sulfide which is required for stimulating the ATP synthase (you can check out the figure). I am attaching some links which you can go through. http://www.sciencedirect.com/science/article/pii/S1043661816304820 (This paper gives a detail overview of the H2S mechanism. Hope I could clarify your question! Not the answer you're looking for? 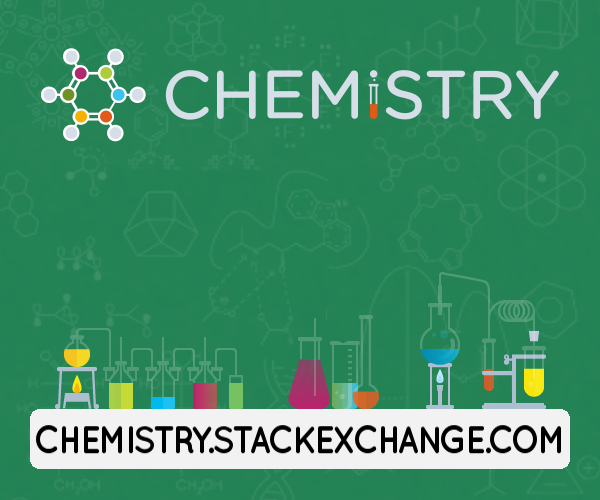 Browse other questions tagged cellular-respiration mitochondria prokaryotes or ask your own question.